Cameron Hayley picked up his first NASCAR win in style by taking the checkered flag in the NASCAR K&N Pro Series race in the inaugural UNOH Battle At The Beach on Tuesday at Daytona (Fla.) International Speedway. DAYTONA BEACH, Fla. – Starting anew is rare for teenagers, but it paid off for Cameron Hayley. Hayley, a 16-year-old out of Calgary, Alberta, Canada, battled back from an earlier incident and banged fenders with Gray Gaulding in a drag race to the checkered flag to win the NASCAR K&N Pro Series race at the UNOH Battle At The Beach on Tuesday night at Daytona International Speedway. It was the first race with Gene Price Motorsports for Hayley, who picked up his first NASCAR victory and led just one lap on the night – the all-important final one. Gaulding attempted a bump-and-run move on race leader Michael Self on the final lap of a green-white-checkered finish, but a bobble in Turn 4 opened the door for Hayley. Gaulding was able to hang on for second followed by Bryan Ortiz in third. Ryan Gifford and Ben Kennedy finished fourth and fifth, respectively. Derek Thorn, D.J. Kennington, Michael Self, Greg Pursley and Kyle Larson rounded out the top 10. Pursley, Hayley’s GPM teammate, started from the pole and led the first 127 laps before contact from Cale Conley sent Pursley spinning out of contention. That gave the lead to Michael Self. Self led the next 27 laps before falling victim to Gaulding’s attempt to win in his NASCAR debut. 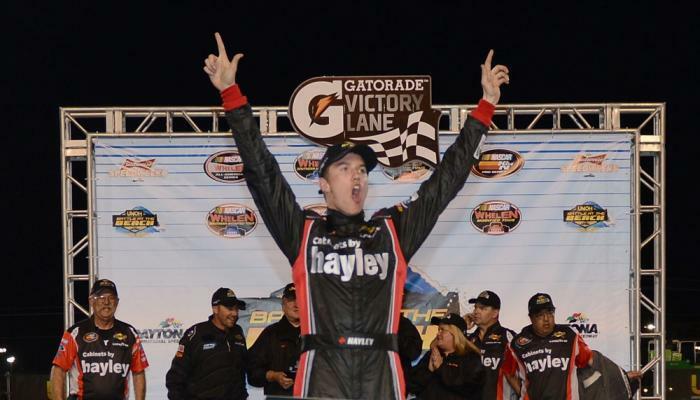 Hayley will kick off his second full season in the NASCAR K&N Pro Series West March 2 at Phoenix International Raceway in Avondale, Ariz. As a rookie, he was part of the Next 9, an industry initiative designed to spotlight NASCAR’s rising starts. While classmates Darrell Wallace Jr., Dylan Kwasniewski, Ryan Blaney and Kyle Larson grabbed the spotlight with their success, Hayley admitted he put pressure on himself to prove he belonged. His statement win came at The World Center of Racing. In another historical moment made at Daytona, Kennedy, the great-grandson of NASCAR founder Bill France Sr., became the first member of the France family to compete at DIS in a stock car. The race was slowed due to caution 10 times for 58 laps. 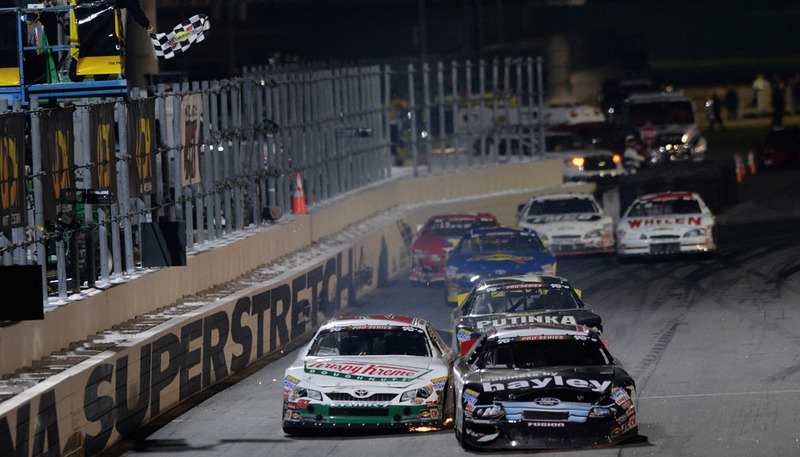 The NASCAR K&N Pro Series East gets underway on March 16 at Bristol (Tenn.) Motor Speedway. NEW SMYRNA, Fla. – Offseason did nothing to slow Daniel Suárez's momentum. The Monterrey, Mexico, driver held off Cameron Hayley in a door-to-door battle of NASCAR's rising stars to win the New Smyrna 150 presented by JEGS Sunday night at New Smyrna Speedway. The race was the NASCAR K&N Pro Series East season opener and the inaugural visit to the banked half-mile. Driving for Rev Racing and NASCAR's Drive for Diversity, the 22-year-old Suárez picked up his second career victory and gave Rev Racing its 13th win since 2010. It marked Suárez's sixth top-three finishes in eight NASCAR K&N Pro Series East races dating back to last year. And it was his second straight NASCAR touring series win; Suárez won the NASCAR Mexico Toyota Series finale at Mexico City in November. Suarez is also a member of the NASCAR Next program that spotlights young, talented drivers. Hayley, 17, won the 21 Means 21 Pole Award presented by Coors Brewing Company earlier in the day. But it was Suárez and Brandon Jones, 16, who led the way for most of the night. 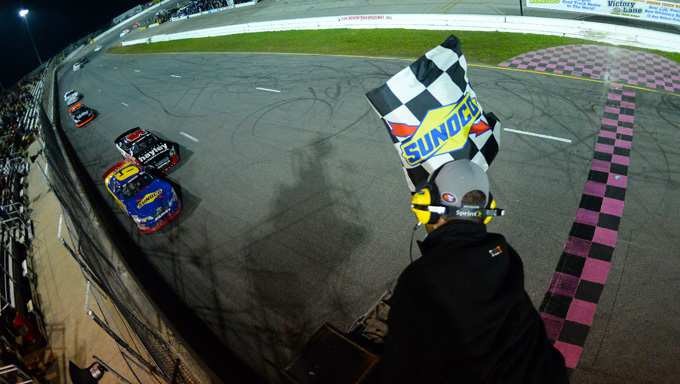 Jones led 34 laps before giving way to Suárez on Lap 48 and eventually finishing third. Ben Rhodes and Lee Pulliam rounded out the top five. It was the series' debut for Pulliam, the two-time defending NASCAR Whelen All-American Series champion. A late race caution set the stage for tense closing laps. Pulliam restarted alongside Suárez, slipped up and dropped out of the top five. That allowed Suárez to get away and Hayley to move back into second. With four to go, Hayley muscled his way alongside Suárez. They rubbed and stayed side-by-side, with Suárez leading by inches to the white flag and beating Hayley to the finish by .083 seconds. Kenzie Ruston finished sixth, followed by Gray Gaulding, Mackena Bell, Brandon Gdovic and rookie Kaz Grala. Ruston led four laps in the early going and became the first female driver in the series to lead a lap since Danica Patrick in September 2010 at Dover (Del.) International Speedway. The NASCAR K&N Pro Series East will get right back at it. The series will be part of the UNOH Battle At The Beach Tuesday on the backstretch at Daytona International Speedway, along with the non-points special event for the NASCAR Whelen Modified and NASCAR Whelen Southern Modified Tours. With the quick turnaround, Suárez and his No. 6 Sunoco Race Fuels Toyota have to put this win behind them pretty quickly. Hayley won last year’s inaugural UNOH Battle At The Beach at Daytona which was a non-points combination event with the NASCAR K&N Pro Series West, but this year’s edition is a championship points event for the K&N East. “We’ll head up to Daytona on Tuesday to redeem myself for tonight and get the win,” Hayley said. The New Smyrna 150 presented by JEGS will air on FOX Sports 1 on Saturday at 9 a.m.
DAYTONA BEACH, Fla. (Jan. 24, 2013) – After delivering a 1-2 punch in the NASCAR K&N Pro Series West last year, the two Gene Price Motorsports teams return for 2013 intent on maintaining the momentum that brought each team a series championship over the last two seasons. The first look at the changes for GPM in 2013 will come at the inaugural UNOH Battle At The Beach on the short track at Daytona (Fla.) International Speedway on Feb. 18-19. Veteran West Coast competitor Greg Pursley, who won the 2011 series championship and finished second in the standings last year, returns to pilot the No. 26 GPM/Star Nursery/Real Water Ford for a fifth consecutive season. Sixteen-year-old Cameron Hayley, meanwhile, is joining last year’s championship team. That entry will have a new look to it, with the car number changing from “03” to “24” and it now being adorned with Cabinets by Hayley sponsorship. Hayley of Calgary, Alberta, replaces Dylan Kwasniewski – who in two seasons with GPM won the series championship in 2012, took the Sunoco Rookie of the Year Award in 2011 while setting several other records. Pursley, who led the series in wins the past two years – six victories in 2011 and four in 2012 – says the team is working hard to keep their success rolling in 2013. A major part of their effort is focused on the UNOH Battle At The Beach, in which Pursley has a locked in position by virtue of winning a series race in 2012. The non-points event will be held on a .4-mile oval on the backstretch of the Daytona track. The opportunity to compete in an event at the Daytona International Speedway and be part of Speedweeks is special to Pursley. While Pursley is assured of a starting spot in the event, Hayley will need to race his way into the event through the heat races. 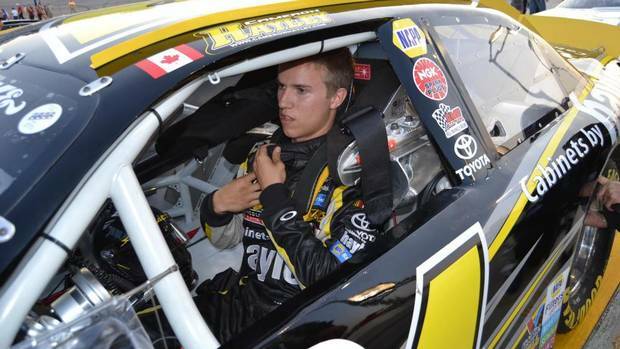 Competing at the “World Center of Racing” will also be special for the 16-year-old Canadian. ”It’s an incredible experience to be part of that NASCAR event with all those series there,” he said. “It’s a huge opportunity for me. I want to go there and make the most of it. Not too many 16 year olds get a chance to race at Daytona and I’m going to make the most of it. After taking Kwasniewski under his wing two years ago, Pursley now has another young driver to mentor as part of the Gene Price Motorsports program. Hayley, who finished second in his series debut in 2011 at Montana Raceway Park in Kalispell, Mont., appears anxious for the challenge ahead. Looking to Pursley for guidance, meanwhile, is something Hayley has already started. Pursley, 45, raced out of Southern California up until moving a few years ago to Parker, Ariz., where GPM is based. Since making his series debut in 1999, he has accumulated 13 wins, 15 poles, 36 top five and 49 top 10 in 70 starts. In addition to the 2011 championship he won in the NASCAR K&N Pro Series West, Pursley was also the 2004 NASCAR Whelen All-American Series national champion. Hayley, who competed in four races in 2011 in preparing for his rookie season, has registered seven top-five and 11 top-10 finishes in 19 series starts. The K&N Pro Series events will be just one facet of the inaugural UNOH Battle At The Beach. The NASCAR Whelen All-American Series Late Models will have qualifying races and a 150-lap feature on Monday, Feb. 18 while the action on Tuesday, Feb. 19 will include a similar schedule of qualifying races and 150-lap races for both the NASCAR Whelen Modified Tours and NASCAR K&N Pro Series. All three features are non-points events and will be carried live on SPEED while supplemental event coverage will be provided at www.nascarhometracks.com. For more information, visit www.daytonainternationalspeedway.com. Grandstand and garage admission can be secured via the website or by calling 1-888-PITSHOP. PARKER, Ariz. – Cameron Hayley of Calgary, Alberta, Canada has just signed to drive with the 2012 Championship Team of Gene Price Motorsports of Parker Ariz., in the NASCAR K&N Pro Series West. 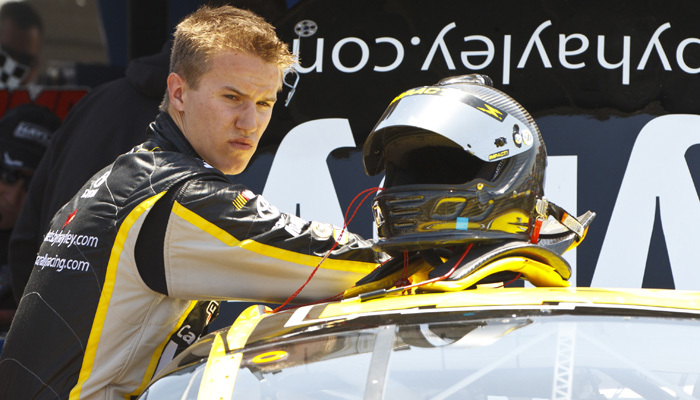 GPM drivers Dylan Kwasniewski and Greg Pursley recently finished the 2012 NASCAR K&N Pro Series West championship standings in first and second place, respectively. Hayley will team with Pursley, the 2011 series champion. Hayley, who is just 16 years old, will be entering his second full season in NASCAR. His first race in the NASCAR K&N Pro Series West resulted in a second-place finish. Earlier this year, NASCAR named Hayley to its NASCAR Next9 program, nine drivers 21-and-under in the NASCAR K&N Pro Series who represent the next wave of young talent set to make an impact on the national series scene. At the NASCAR Champions Award’s recently held in Charlotte, N.C., Hayley received the Driver Achievement Award for 2012 and the Featherlite Most Improved Driver Award. He finished second in the Sunoco Rookie of the Year standings and was seventh in the overall standings.